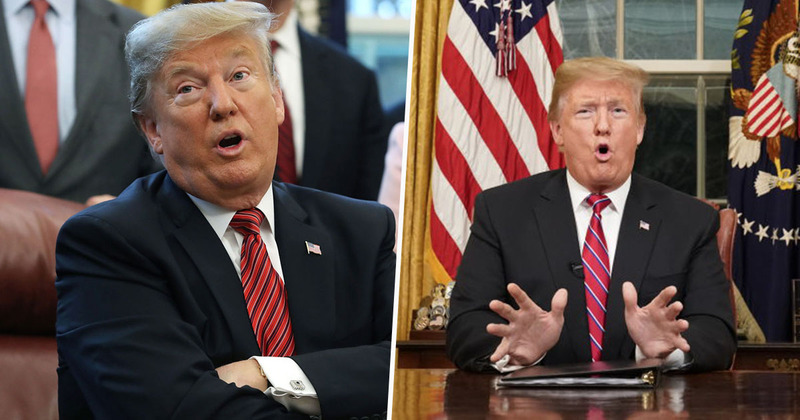 A gambling site is paying out thousands of dollars after people placed bets that Donald Trump would tell more than three and a half lies in his Oval Office address yesterday, January 8. Luckily for those who knew Trump would probably tell a fib or two, the bookies are now having to pay out a rather large sum of money. Speaking to BuzzFeed News, odds consultant John Lester said the gambling site will lose $276,424, with 92 per cent of people placing bets that Trump would definitely lie. A lot. It’s a bad day for Truthiness and Bookmaker. We knew we were in trouble early with this one. The gambling site used the Washington Post’s Fact Checker to calculate how many misleading and untruthful statements Trump made in his address. The fact checker’s live blog corrected six ‘facts’ the president gave during his speech, and has further opposed a number of statements he made, such as the ‘crisis’ at the southern border. In reality, the number of people trying to cross the border has been in decline since 2000, and is actually at its lowest point for 20 years. Lester added that, while they expected Trump to stretch the truth, they were also factoring in the time constraints on the president’s speech limiting the number of them. We figured the president’s strategy going in would be a bit of fear mongering to create pressure on the Democrats to approve the funding of the wall (or barrier), however the president was also constrained by an approximate 8-minute time limit. With all the cable networks agreeing to air the speech, it came down to how many times is the president willing to exaggerate the truth to accomplish his agenda, when he knows the world will be scrutinising his every word? As part of an overall approach to border security, law enforcement professionals have requested $5.7 billion for a physical barrier. At the request of Democrats, it will be a steel barrier rather than a concrete wall. 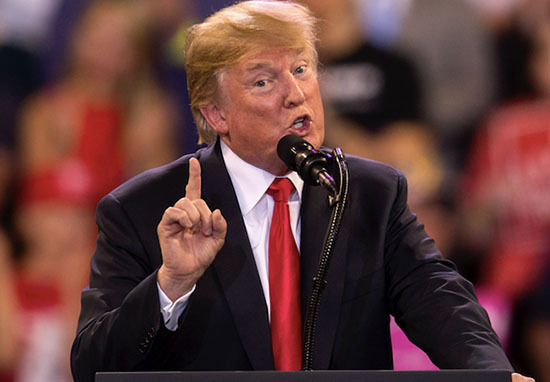 Trump suggests that Democrats requested a steel barrier rather than a concrete wall, but the proposed switch to steel was an idea the Trump administration brought up. No Democrats are on record demanding a steel barrier along the U.S.-Mexico border.